The better the view the worse the coffee – usually. The beach cafe at Porthkerris on the Lizard peninsula bucks the trend for taking advantage of location – or in this case isolation – to charge silly prices for poor quality. Porthkerris is close to the Lizard, the most southerly point on the UK mainland. 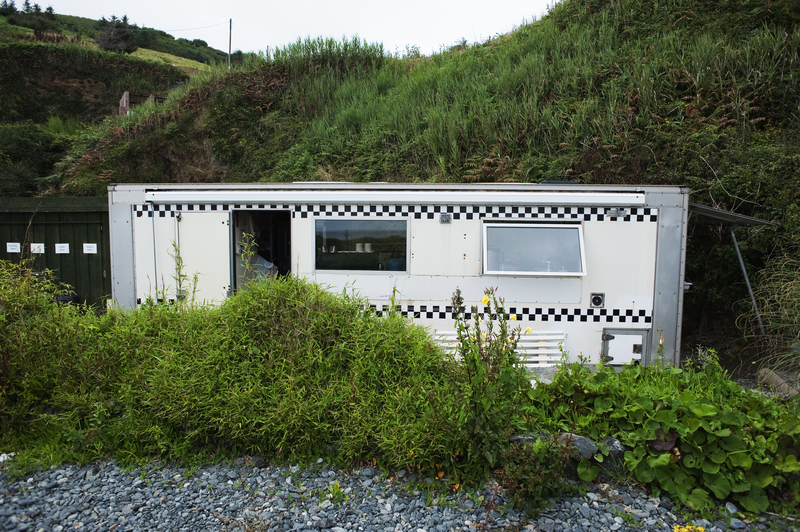 Despite its inauspicious appearance, it is an old Police incident co-ordination trailer, the cafe on the beach at Porthkerris serves a pretty decent cup of coffee. Porthkerris is one of the nearest boat launching points to the Manacles, a rocky reef that is one of the UK’s top scuba diving spots. So it’s no surprise that the cafe caters for hungry divers, with sausage sandwiches, pizza baguettes and that sort of thing. But the highlight of the menu is the cream tea. 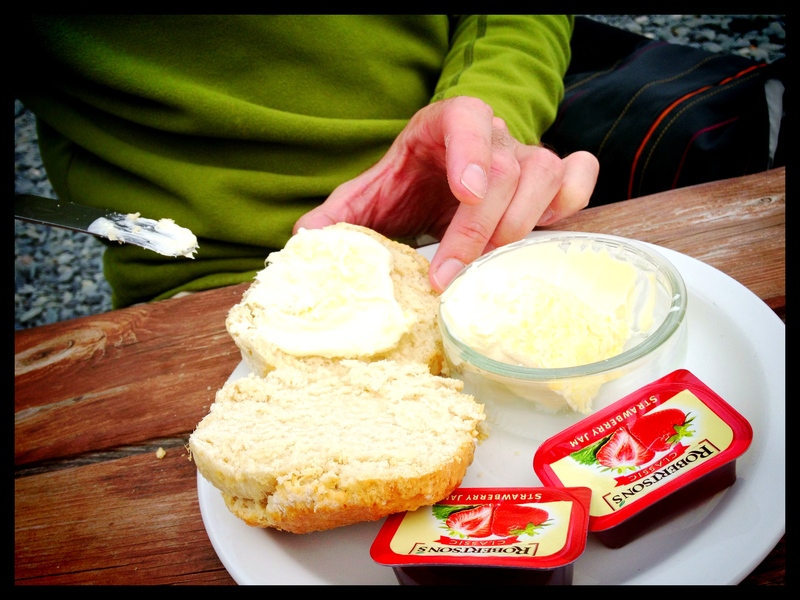 Big scones, a huge bowl of clotted cream and not the usual one, but two portions of jam. The perfect way to end a day on the beach. Thank you very much for such a lovely review!